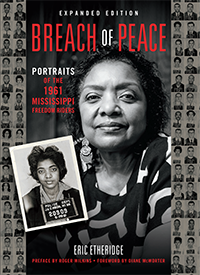 Several of the black Freedom Riders who grew up in the south told me similar stories about childhood protests. These were usually small incidents, unplanned — drinking from a white water fountain, sitting in a white seat on a bus — with little if any repercussions. In the book, Hank Thomas, who grew up in St. Augustine, FL, tells about an encounter with a white insurance man who had come to his home to collect the premium from his aunt, with whom he was living at the time. The insurance man asked for his aunt by her first name, Rebecca, and Thomas, then about nine or ten, corrected him, three times, until the insurance man acquiesced and ask for her by her last name, Mrs. Williams. There are things that I picked up, and I to this day struggle to remember how I came about certain feelings about certain issues. I was aware, you know, of segregation, and was aware of how Blacks were treated different from Caucasians. And one thing I did one day, and I am not sure that I was a teenager or not. I might’ve been 11 or 12 years old. During those days, we had people collect the insurance, and more often than not those people would be white men. One winter day, the insurance collector came to the front door, and he asked for Ernestine, who was my mother. And I closed the front door. He went like – his whole expression changed. My mother came out and he said, “What’s going on?” I said the insurance man’s here. He’s coming around to the side. “We’ll talk later,” she said. Later she asked me why I did that, and I said, “Well, I don’t know. He has no established relationship of friendship and I thought that he should’ve asked for Mrs. Petway instead of Ernestine.” And that was the end of it. Petway’s father, Matthew, was a minister involved in the Civil Rights movement. 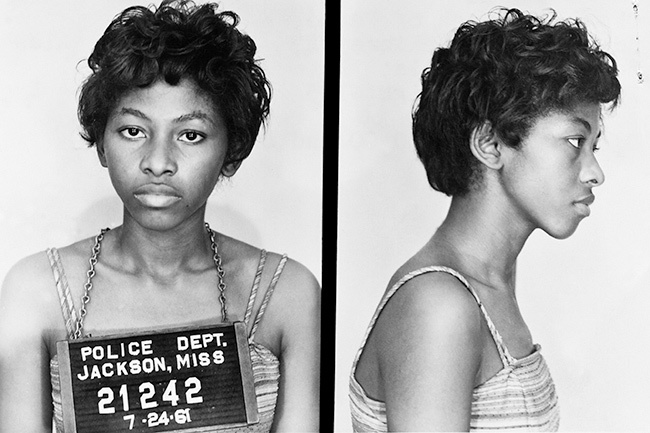 She flew with him and her younger brother, Alphonso, into Hawkins Field, Jackson’s airport, on July 24, where all three were arrested. She was 20 at the time. After the Freedom Rides, Petway graduated from Florida A&M University. During her career she worked for the Urban League, the IRS, the Department of Veterans Affairs and H&R Block. Today she is retired and lives in Apollo Beach, FL. Photographed May 1, 2007, in Apollo Beach, FL.